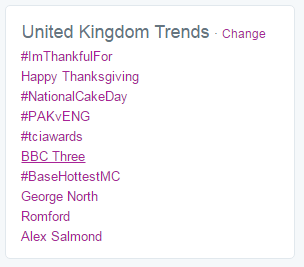 Home / Archive / BBC Three Trending #Fail ? BBC Three Trending #Fail ? Social media is where it's all at for the "reinvented BBC Three Online". But today's announcement was met by a mass of disapproval by users. @bbcthree this is not exciting for everyone. Just one tv program takes me over broadband limit. No interest. Bye. @jaybs The condition states 'on an ongoing basis', not short term. Admittedly, it was talk of multiplexes and transponders that sealed its inclusion on this page. That's something a516digital talks a lot about. You can find out what the BBC Trust has said about the vacated BBC Three bandwidth here.